The link to the project section in the main navigaton menu has been removed. The only way to reach the projects section now is by visiting the links page, where you will find a menu for the section. Unlike the other parts of the Tutoria website, the project section is mainly used to test design changes before implementing it on the actual website. 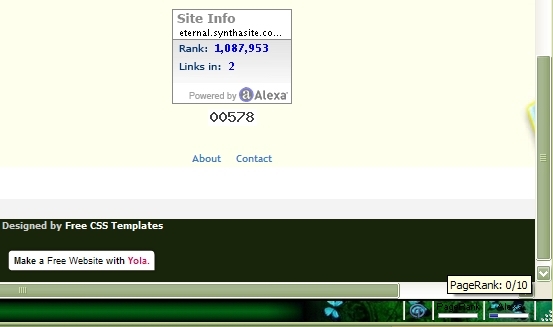 Since Yola changed from its previous name, Synthasite, they also implemented a new sub-domain to their websites called yolasite. With the change, I planned to change to the new sub-domain as soon as possible but the "eternal" was no longer available. A few months had already passed since they implemented the new sub-domain. Since I did not have any other choice, I changed the name of the website to its new name, Tutoria. Hope you guys like it. A forum will be added to the website soon. The forum has already been made but there are no posts yet and i have to make some changes to the settings and add some features to make it more presentable and easier to use. It has been a while since I made the blog and I never noticed that the comment option was not available. After searching for a while, I finally got it to work. Comments are powered by DISQUS. The Eternal homepage got a page rank 0. I used the Searchstatus Mozilla Firefox add-on to display the page rank. 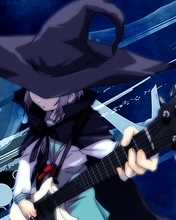 Finally, after one month, I made a new post. Hope you like the new updates. Follow me at Twitter and I will also do the same for you.